As I sit down in Boulder and look back on this past weekend, I can’t help but smile at the thought of all of the spectacular music and beautiful faces that overran the historic Stanley Hotel. Leftover Salmon brought out an excellent group of people, all ripe for connection through music. 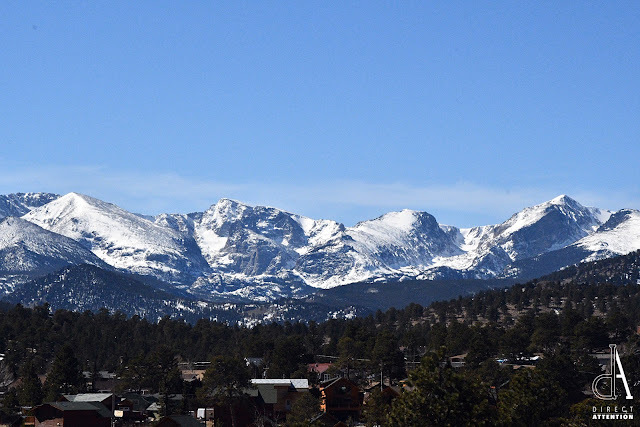 On the third and final day of the festivities, fans rolled out of bed to the crystal clear skies and view of Estes Park’s ridgeline, the best view all weekend. After overcoming the awesomeness of the landscape, fans advanced into the McGregor Ballroom to slam bloody marys and listen to the prolific Don Byron sit in with Sockeye, the jazz offshoot of Leftover Salmon’s rhythm section (Alwyn Robinson, Greg Garrison, and Erik Deutsch). Byron showed off his arsenal of clarinets and took the lead on the downtempo brunch performance. 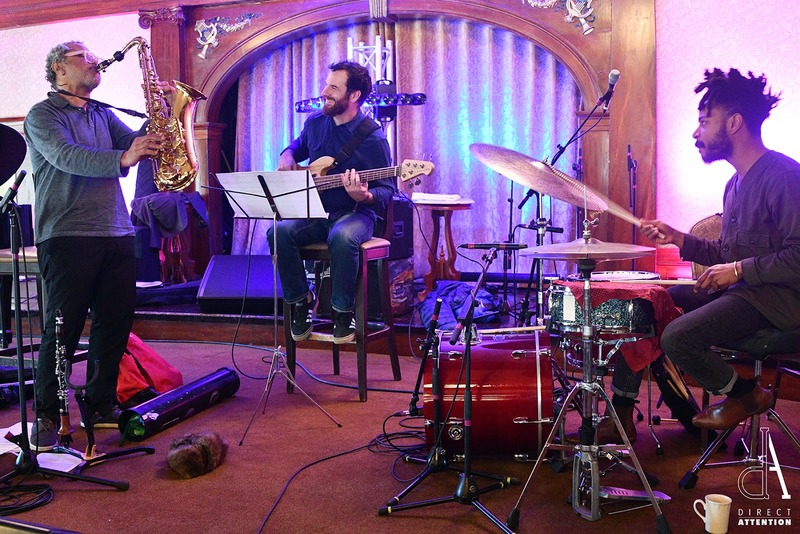 Byron is relatively new in the Denver Jazz scene, but revered as a giant of the contemporary jazz world, blending his classical training with avant-garde innovations. It was a feast for everyone to watch him maneuver through the set. Once brunch came to a close, it was a couple of hours rest before the Colorado debut of Leftover Salmon’s living room set. In the meantime, patrons were invited to peruse the art of Scramble Campbell and Frenchy, two live painters with distinct styles. Scramble could be seen throughout the weekend’s variety of sets capturing the color, feel and movement of the productions. The setup of Salmon’s Living Room set was intimate and acoustic, complete with a lava lamp, photos of Flora Stanley, and even a record player for kicks. The unplugged show wasn't lacking in energy, an advantage of their bluegrass stylings. The spirit was so high that the crowd and the band knocked a painting off one of their easels. Despite Salmon’s early end time, the night shuffled right along with “late” night sets by Bonfire Dub, who kicked off the performance with some originals before diving into the crowd-pleasing best of The Doors. Closing out the weekend was yet another local Colorado band, Woodshed Red. Known for their genre-melding covers and strong musicianship, along with stellar songwriting, Woodshed Red capped off the weekend with an impressive set, even inviting Tenth Mountain Division’s Winston Heuga up to sit in for a couple of songs. Leftover Salmon’s fourth year at the Stanley Hotel was a total success. The setting alone ignited the spirit of Salmon’s music, much of which could be considered love songs to Colorado’s mountains. Fans enjoyed over ten sets of stellar musicianship, some healthy competition in the Big Wheel Race, and delicious food and remarkable events over the course of the three-day event. A healthy blend of work and play made the weekend anything but dull, and fans are undoubtedly anticipating the announcement of next year's Salmon at the Stanley bash. For those on the left coast, Salmon will be coming through Ashland, Eugene and Portland, Oregon with Keller Williams next week (March 21, 22 and 23rd) topping off the tour in Seattle on March 24th. In the meantime, aficionados can pre-order Leftover Salmon's new album Something Higher at leftoversalmon.com, and catch the album release party on May 4th at Etown Hall in Boulder, or party down on Cinco de Mayo at Colorado's prized venue, Red Rocks Amphitheater.